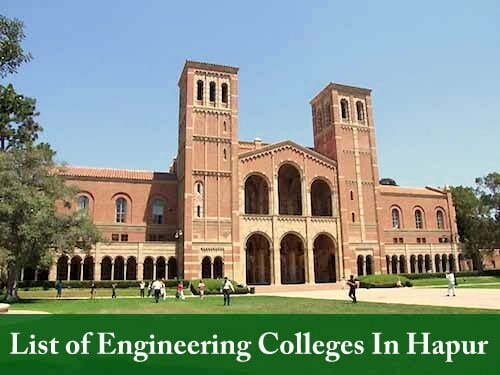 List of Engineering Colleges In Hapur: Here is the List of Engineering Colleges In Hapur City, Uttar Pradesh. These engineering colleges taking admission through UPTU Entrance Exam for B.Tech, MBA, and MCA courses. All candidates who will appear in Uttar Pradesh State Engineering Entrance Examination will be able to take admission in these engineering and management colleges. UPTU/AKTU Entrance examination conducted by Dr. APJ Abdul Kalam Technical University every year. Candidates who are willing to take admission in engineering colleges in Uttar Pradesh for B.Tech and other professional courses have to appear in this state entrance examination. Successful candidates will have to ready for the counseling as it will be started soon after the result announcement.